Today, the patty melt stands as a classic American diner sandwich. Kids will love this cheesy and crunchy classic. Feel free to play around with different fillings; view the full recipe below! Grill 150g beef patties to desired doneness. Toast of the bread on a grilled pan or use a grill toaster after building the sandwich. Build the sandwich by spreading BBQ pepper mayo on both insides of each sandwich. 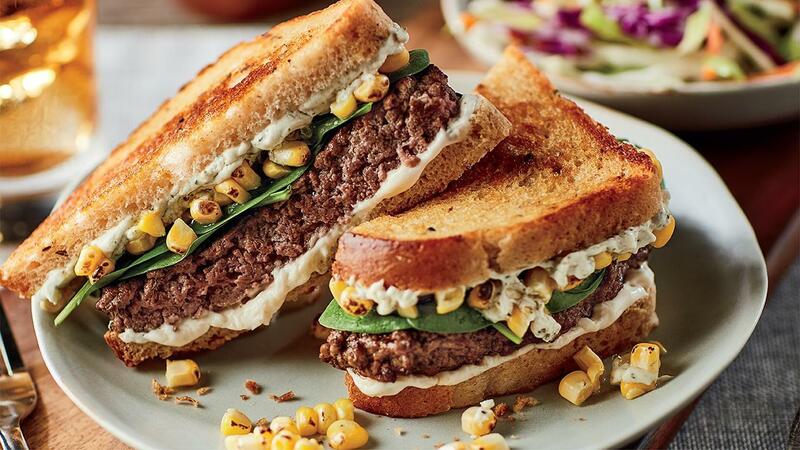 Sprinkle some grilled corn and layer with spinach. Place the cooked patties in the middle and spread some goats cheese on top. Close & cut the sandwiches before serving.